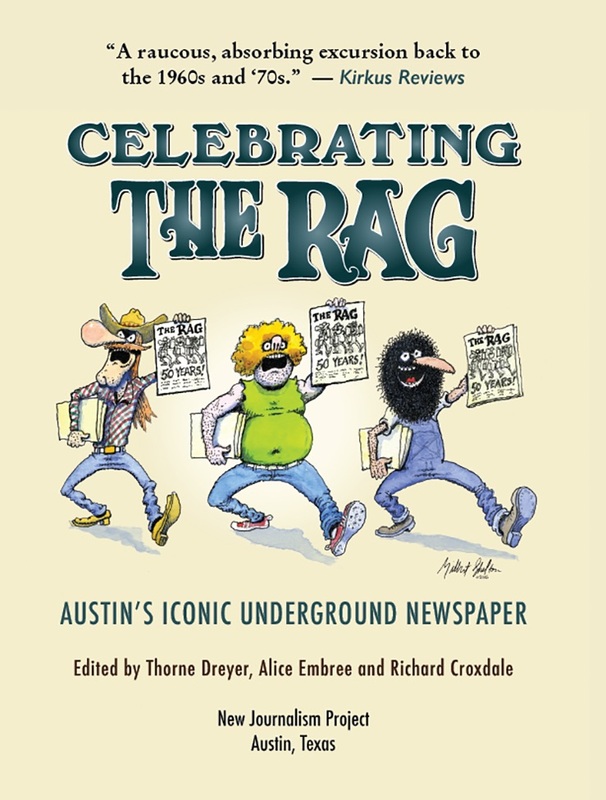 Rag Blog publisher announces new book publishing effort. 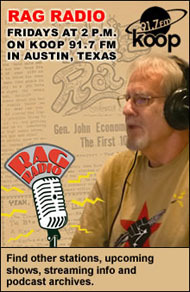 The New Journalism Project (NJP), publisher of The Rag Blog and sponsor of Rag Radio, is spreading its wings with an expanded publishing effort. 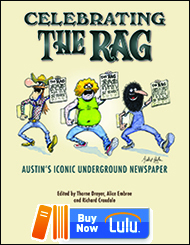 NJP has sponsored The Rag Blog and Rag Radio for more than a decade, but its first venture into publishing was Celebrating The Rag: Austin’s Iconic Underground Newspaper, published in 2016. The book met with wide national acclaim. We plan to build on the success of Celebrating The Rag by launching NJP Publishing. We can contribute editorial expertise, production skills, and a promotion platform to this effort. In the 2019 pilot phase, NJP Publishing will publish both established and emerging writers, with an initial focus on amplifying women’s voices. Offerings will include poetry, memoir, fiction, and nonfiction. NJP Publishing hopes to publish six books in 2019 as we test our capacity and assess the benefits to both author and NJP of a collaborative publishing model. Alice Embree, NJP board member and associate editor of The Rag Blog, will take the lead during this pilot phase. 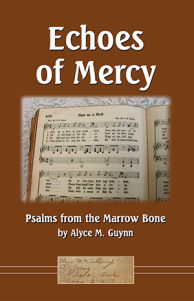 Three books are now available for purchase: Echoes of Mercy: Psalms from the Marrow Bone by Alyce M. Guynn, Looking Glass by Alice Embree, and Celebrating The Rag: Austin’s Iconic Underground Newspaper, edited by Thorne Dreyer, Alice Embree, and Richard Croxdale. 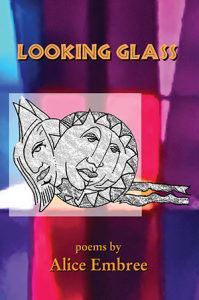 Looking Glass is a collection of poetry that spans four decades. Writer Alice Embree explores the intimate terrain of grief, the memory of an earlier Austin, and the joys and challenges of living a creative life. 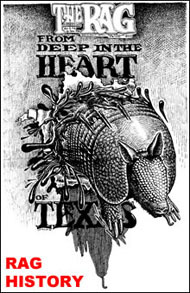 The Pecan Shellers Strike has now been acknowledged as the mass movement that it was, the biggest mass strike in Texas, and the foundation for Hispanic organizing for a generation. The story of the garment workers labor movement in Dallas, however, continues to suffer neglect and the research article in this book is one of the few available on the dramatic episodes in Dallas in the 1930’s. For nearly 40 years, the CCDC has been working to preserve Clarksville’s history, to maintain the neighborhood’s traditional sense of community through a variety of events, and to keep Clarksville ethnically and economically diverse through its affordable housing program. Stay tuned. We’re taking flight. Please visit New Journalism Project Publishing for more information. 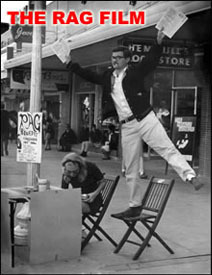 This entry was posted in RagBlog and tagged Alice Embree, Alyce Guynn, New Journalism Project, NJP Publishing, Rag Bloggers. Bookmark the permalink.